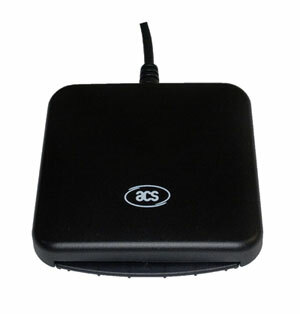 The ACR39U from ACS is a compact USB smartcard reader that supports all ISO 7816 microprocessor-based smartcards as well as numerous popular memory cards. Housed in a stylish black casing, this highly durable desktop reader features the new ACR39 chipset and supports various operating systems such as Windows, Linux and Mac and Android (versions 3.1 and above). Fully compliant with PC/SC and CCID specifications, as well as EMV 2000 Level 1, the ACR39 is ideal for various application areas including e-Banking and e-Payment.